What do you want to do for Father’s Day dear? Why yes, I’d like to take a short trip over to the Eno River and see if I can catch a Roanoke Bass. These are a fairly rare, spunky overgrown sunfish, and are quite wily and strong for their size. Left the house shortly after 10am, fortified by three lattes 😉 . Drove the 15 miles to the Eno River State Park, rigged up and hiked the quarter mile to the river. The water level and clarity were perfect. Our piedmont streams are never crystal clear, but I could see the bottom in 3 feet or so of water. I’d not been to this particular spot in a couple years, but I remembered why I like it so much. Clear water, deep shade, and the quiet of being far from a heavily traveled road. No more action there, and I walked downstream to a long pool. I was trying to figure out the best way to get down the steep bank. I put my rod down and figured I could swing in on a stout ironwood tree on the bank. I was trying to decide where to step when I slipped, shinnied down the tree, and info the water. Not graceful, but effective! 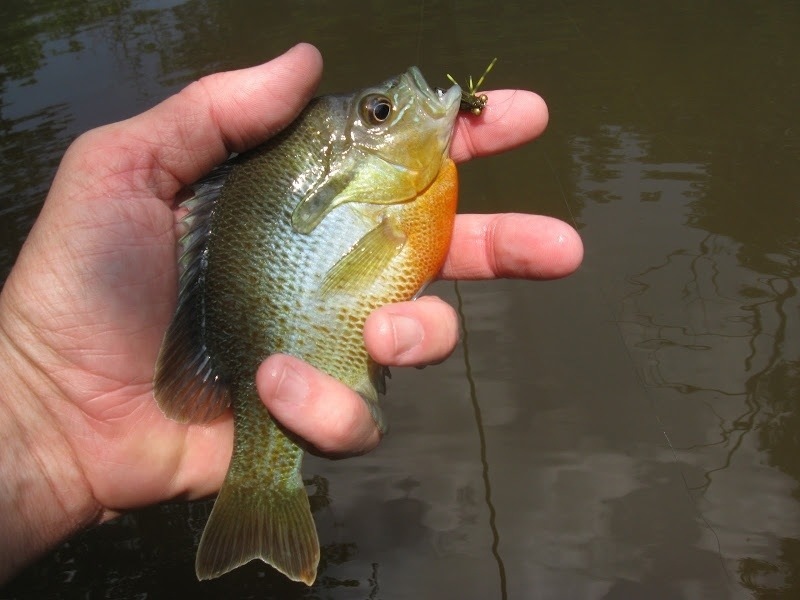 I worked up the pool in cool, waist deep water, picking up lots of sunfish but no more bass. Came back home about 2pm, and now getting ready for Father’s Day grilling. Not a bad day at all! 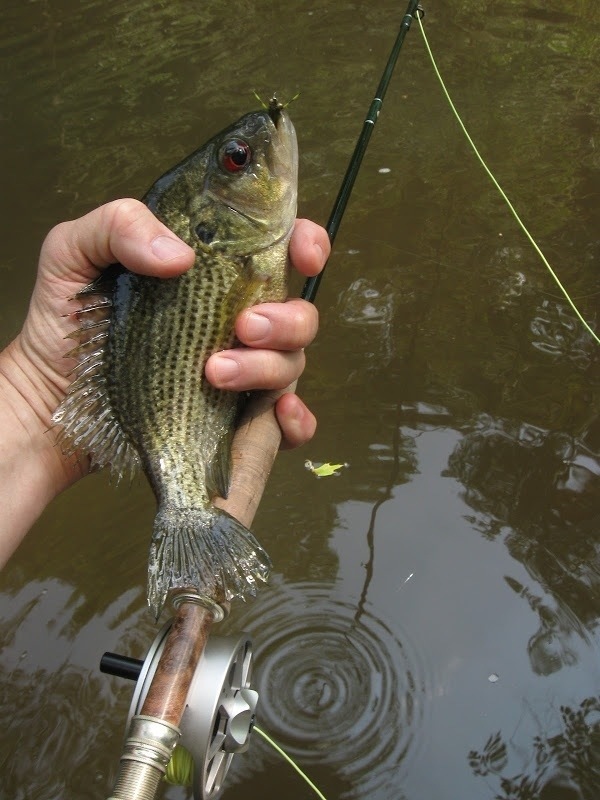 This entry was posted in Family, Flyfishing on June 16, 2013 by joel.